IBMirror Offer Largest Colection of. Illuminated & LED bathroom mirrors in North America. 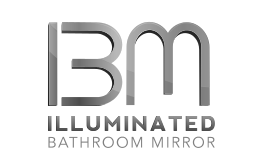 Combining supreme quality, the latest in contemporary design and IB mirror: IBM-Illuminated Bathroom Mirror. We offer a wide variety of mirrors to suit all residential and commercial needs. Whether it is for your bathroom, or simply to create a unique decor, we most certainly have a product for you.